I have created the Author Success Blueprint so that you can self-publish on your own, but I still recommend that you create your own team to ensure that you write and produce a great eBook. You can do as much as you can based on your skills and willingness to learn, but it’s better to hire a team of specialists if you can afford to pay them. These professionals will help you to create a more professional eBook. Investing in a good team will produce a better eBook that readers will notice. Beta readers – these are fans, friends or family who can read your first draft and provide feedback before you edit your draft and send it to an editor. Editor. 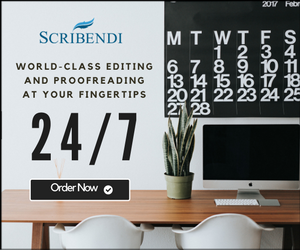 A professional editor experienced in your genre will get your manuscript into shape so that you can produce a great eBook free from errors. eBook Cover Designer. You must produce a professional and compelling cover so this person is essential to your success. Distributor. I have outlined all of your options for getting your eBook into the online stores. You can easily do it yourself for each store or you can save some time by getting a distributor such as Smashwords or Draft2Digital to do it for you. Fans and Advocates. I cannot emphasize just how important these people are to your success. If you have built a powerful author platform and have a list of fans who can help promote or recommend your eBook then they will play a strategic role in your launch.